There is no doubt, that motorhome winterisation, has really become the norm. In fact, it has opened up the use of motorhomes, beyond those summer months. Going on that winter adventure, knowing the taps are not going to freeze, is just great. Jack Frost has been set quite a challenge, the all year round motorhome, is here to stay. So, what does one look out for, when using your motorhome in winter? Making sure that you do have a plan is important. Snow and ice, are worthy opponents of anyone taking them on. Preparing to tackle the elements is one thing, being equipped to do so is the challenge. Many new motorhomes like the McLouis Fusion, use extensive insulation and high grade heating systems. The way forward has been found, to really make modern motorhomes winter proof. Nearly all leisure vehicles have become winterised. Not only are they insulated, to a high level. In fact, they are heated inside, just like the central heating in your house. Therefore, motorhome winterisation, has made motorhomes home from home. Looking out of the window of the motorhome at a winters tale. This has provided a new dimension in the dead of winter. You will be snug, warm inside your centrally heated, leisure retreat. However, there is always the fact that in winter, driving conditions on the roads, may prove an additional driving challenge. servicing aside, how strong is your antifreeze? Now, common sense, should prevail in any weather forecast. If the weather forecast says danger, then it means just that! So, consider others safety not just your own! By going on, your actions, may put others in danger as well! So, if things are bad maybe, postponing for few days will help. Even staying on a campsite, with a hook up, could make a lot of sense. The road conditions when driving a motorhome, certainly need to be realistic. Snow tyres, snow chains and snow socks, are not the perfect answer. The combination of ice and snow, impacting on motorhome driving. This may prove to be a bit much, to say the least. Let’s face it how much snow driving have you really done? Keeping a more safer distance from other traffic, this maybe very advisable. Also, do you have a plan B if all goes wrong? The fact that motorhome winterisation, has become standard, on most new motorhomes. Because, many folks just headed south in the winter, to the sun. Destinations to escape the cold such as, Spain and Portugal, provided many motorhome holiday winter locations. Now, the more adventurers are taking that winter holiday a little further. Taking in colder climates and looking at those winter retreats. Winter sports such as skiing holidays are within reach. There is a lot of information online, just try a search “motorhome ski holidays”. There are many ski aires, out there that have the perfect locations near the ski slopes. Remember, those solar panels work in winter resorts as well! Motorhome winterisation, certainly has been responsible for the rise in interest. Motorhome winter holidays are becoming even cheaper, as no accommodation or hotel bills mean that you can stay longer. If it get too cold, you can always head back to the sun! Older motorhomes for motorhome winterisation. Retrofit kits are available to convert and upgrade heating and insulation. This involves insulating areas such as wheel arches and places that cold temperatures reach. Using tank blankets and insulating all the popework and pums have to all be done. This is a job that needs to be done by professional motorhome winterisation specialists. This will improve a motorhome holding it’s heat. Many blow air systems do not reach such places as the cab. So, there are ways to pipe the air into those places. Motorhome insulation has come a long way. Having an efficient boiler and one that is powerful to heat all the spaces. This is a must, if going on winter holidays. 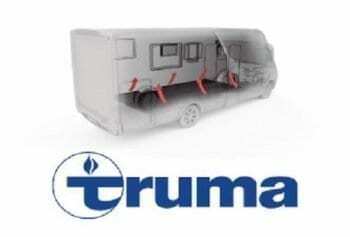 Trumar and Alde are leading heating specialists for motorhomes. Many new motorhomes are now fitted with higher grade boilers or with an option to upgrade. The Truma Combi is the one of the smallest heating systems. Ideal designed for motorhomes, it works with both gas and electricity. Often fitted as standard equipment, with frost control. There is the current-free drainage and safety valve. This is fitted for freeze control. 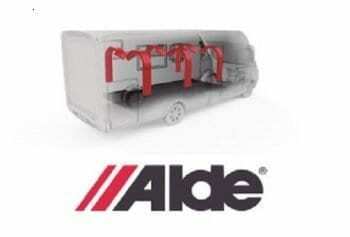 The main principals of the Alde central heating system works just like a modern home. Convectors and radiators are fitted along the outer walls, and pipes go into the floor. This then heats up the air, that heats up the furniture and surfaces. Therefore, keeping a constant controlled heat. Many new motorhomes are all now winterised. A popular choice is to use either the Truma or Alde systems. Motorhomes such as McLouis Fusion in the UK use the Truma CP Plus with LCD control panel. This is a Combi 6E heating system with air ventilation. This has an integrated heating elements and runs in gas, electric or mixed mode. The very effective system is fast, providing hot water heating, in a very short time. Also, this system is renowned for very low power consumption. Launching any new model, it is all about specification and heating and air conditioning are important. Knowing that some of the best heating and insulation systems are being used. This does provide peace of mind. Something, that the McLouis Fusion is achieving. Now being introduced to the UK market. The McLouis Fusion has lots to offer on a winter holiday.